After doing some user feedback, we learnt that there was some confusion around the success of order. 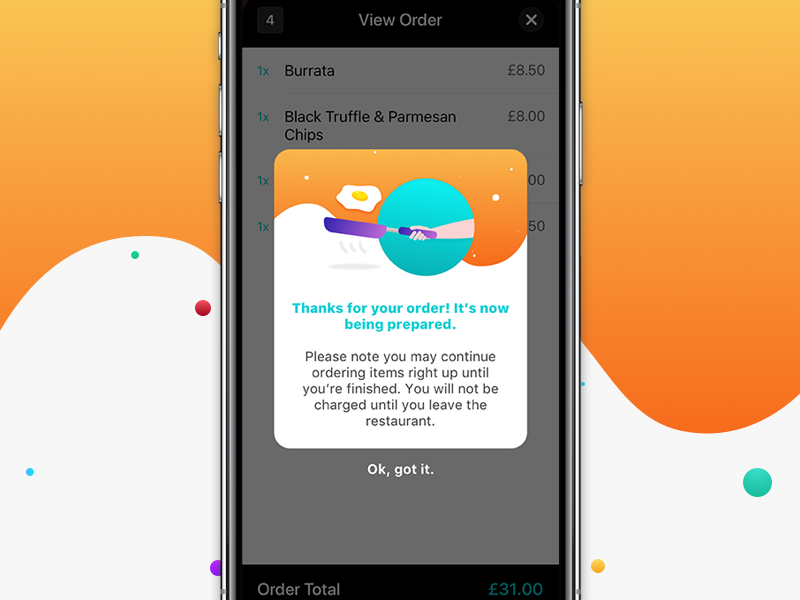 Instead of a plain text alert box, I thought it would be really cool to make something colourful to make it obvious that an order had be successfully placed! The animation adds a bit more fun and excitement to the adding of items to the basket. Used Sketch, Illustrator and After Effects.